Dubai is one of the most beautiful cities of the world and is ranked well for the ease of living. If you are a nurse , you can have a rewarding career in Dubai . The pay is good and a balanced work culture is guaranteed. It is your opportunity to save money if you like since there is literally no tax on your pay . In western countries also the pay is good for nurses, but tax usually takes a big cut in her salary, say sometimes up to 40 percentage. 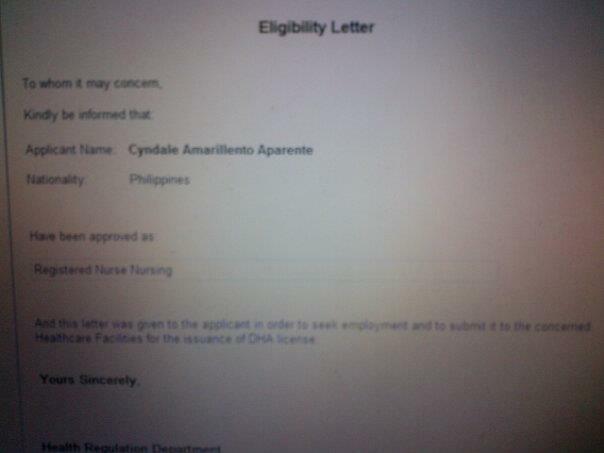 If you want to work in Dubai as Nurse you need a Licence. DHA ( Dubai Health Authority) is the authorised body to issue the licence. The Application Procedure is done online. To apply for DHA Nursing Licence you have to meet certain requirements . The licensing requirements are applicable to both nursing graduates from UAE and international universities. Please visit this Nursing and Midwifery Licensure Requirements Page of DHA to know more about it. The below given link will take you to that page. One color Passport size Photo with white background. If you are Post Basic B.Sc Nursing candidate from India, then you should also upload along with the above documents the following as well. Scan all these documents and name it according to what they are and upload in the required field. This will pop up as a separate window which will walk you through your application, each step requires documents to be uploaded as clearly instructed. Name all documents instead of numbering. Remember to update each page as you move on, unsaved documents cannot be retrieved when you log on for the next time. Once you finish, it will prompt you to a menu where you need to provide details of payment. Once you complete the payment your application gets submitted for verification, it may take few days to 6 weeks to get a feed back from DHA officials. If you won’t get any feed back in the prescribed time period then you must follow it up by sending an email to Regulation@dha.gov.ae. After Initial verification of your submitted documents DHA staff will intimate you about the corrections to be done, like uploading missing document or uploading additional documents etc. You can correct the mistakes you have done and submit it again for approval. Please read all the instructions clearly and fill in forms and submit documents accordingly . After submitting all the documents, DHA personnel will again review your application and approve it. Then they will send you an email above Primary Source Verification and the payment to be made for that as following. The payment for primary source verification is AED 700/- . If you wish to postpone your payment, you can do so , but atmost 3 months only . But it is good getting it done as soon as possible, as I am told. This PSV (Primary Source Verification) will verify the credentials submitted by an applicant from its origin . The results will take 30 to 60 days and is received via email. You can also follow up on your status through their website. Just follow the instructions clearly given. After this you will be given an Eligibility Number, which is used to schedule your exam. Update : The PSV fee has been increased to AED.932/- from 700. Go to link to schedule your exam, here you need to provide your Eligibility Number. Fee to schedule the exam is 170 USD, can be paid through an international credit card. You can clear your confusions by checking the FAQ’S here. Exam is computer based and it is a multiple choice assessment. You have 2 hours to answer 70 questions. You will get the result in two days through mail. If you pass the exam, you will receive an eligibility letter which you can attach to your CV while you apply for a job in Dubai. The letter is valid for only a year ( 1 year). Once you have a sponsor/employer, they will do the remaining formalities. You can find the updates in your Sheryan ( DHA Account).